Buying electricity in advance is very similar to buying gasoline for your vehicle. Your vehicle has a gauge that allows you to monitor when you need to “fill up”. 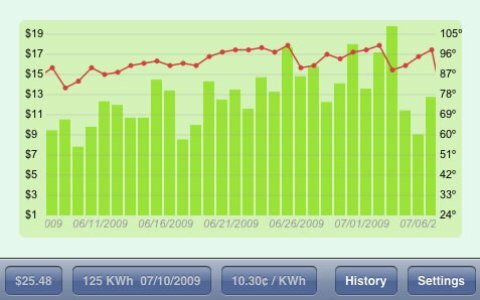 Similarly, PayWise utilizes MyUsage.com, which allows you to monitor your electric usage and notifies you when you need to “recharge”. Is PayWise the Right Choice for Me? Some customers would prefer to make weekly or biweekly payments on their electric bills rather than make one large payment each month. If you’re one of these customers, PayWise might be just the option you have been looking for. Statistics have also indicated that members who use prepaid electric programs tend to reduce their electric consumption because they are more aware of how they are using their electricity. 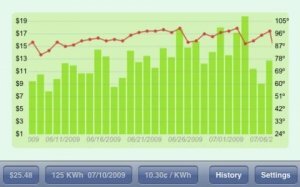 In fact, PayWise would be a great option for any member wanting to monitor his or her electric consumption. PayWise payments can be submitted using any of our traditional payment options. You can view a full list of payment options here. If I already have a post paid account, can I switch to PayWise? Members are always welcome to convert their accounts to a prepaid account. In fact, many members will want to make their existing deposits work for them. 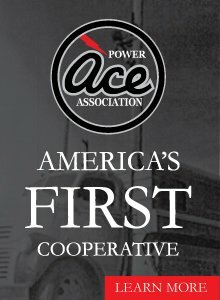 ACE can convert your existing deposit into a prepaid electricity purchase. How much will it cost to use the PayWise program? After your minimum initial credit balance to activate your account, the PayWise program will charge a nominal monthly fee above the normal customer charge. This can be a great deal when you consider that there are no more late fees or collection fees. Just think of the money you could potentially save! What if my PayWise account runs low? Each member will receive alerts via text, phone, or email when their account balance reaches a certain level. The alert levels may vary from member to member, as each member will set their own custom alerts. When the member is notified of a low balance, simply recharge the account by utilizing one of ACE’s convenient payment methods. How much money should I keep in my PayWise account? That is the great thing about PayWise. It’s entirely up to you! PayWise is a program designed to fit your individualized budget. You can buy enough electricity to last until payday, or you can buy enough to last several months. The choice is yours! Will I still be required to pay a deposit? Absolutely not. PayWise members do not pay deposits. The money you pay into your PayWise account goes strictly towards buying electricity. No more large deposits based on credit score. PayWise doesn’t care what your credit score is. Will I still receive a monthly statement? No. Because you get daily notifications about your usage, you no longer have the need for monthly statements. Everything is managed by the member, at the touch of your fingertips. Manage your account online at myusage.com or by utilizing the MyUsage app from the Apple App Store. What do I do if my electricity is disconnected? If your balance falls below zero, you may be subject to immediate disconnection. Simply recharge your account by making a payment to ACE. Once you meet the minimum reconnection balance, your electric meter will be reconnected. A reconnection fee may be applied against your credit balance.